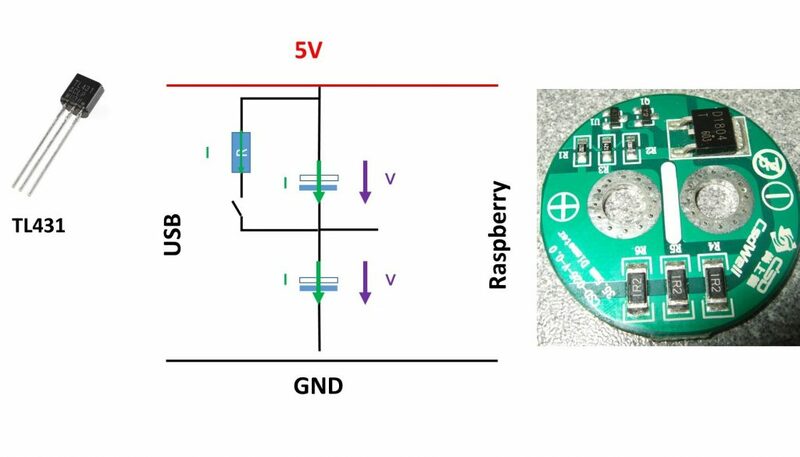 In video #133 we used super capacitors to safely shutdown the Rapberry Pi. In the comments, viewers asked about over voltage protection of the super caps. I will show you a big and small and cheap possibility. And I will show you one concept which does not really work. But why do we have to protect Super Capacitors? And how can we protect them? Most Super capacitors are only specified up to 2.7 volt. 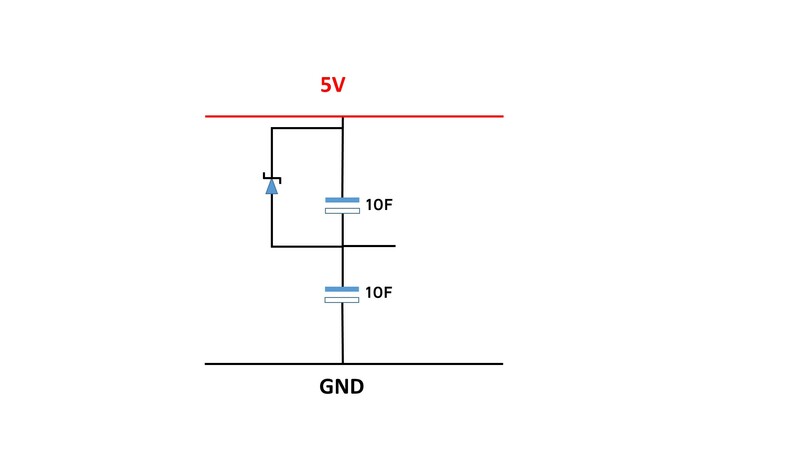 If we need higher voltages, we have to connect a few of them in series. 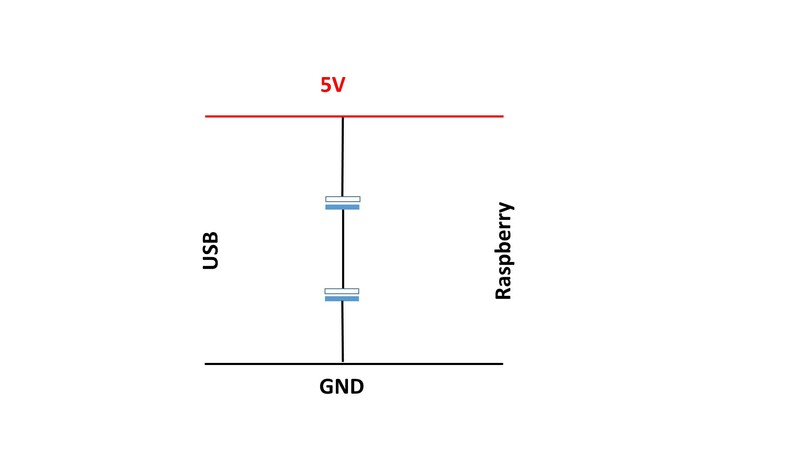 To give the Raspberry a save shutdown I used two caps because it runs on 5 volt USB. If we charge the capacitors, the same current I flows through each of the caps. 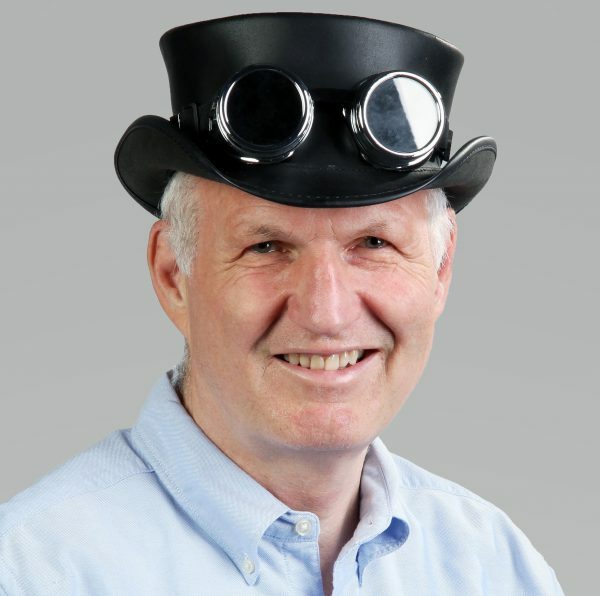 If one cap has a smaller capacitance, it charges faster and its voltage can go above the maximum 2.7 volts. To prevent this, we can connect a resistor and a switch in parallel to the capacitors. If the switch is closed, part of the current flows through the resistor and the voltage stays below the 2.7 volts. 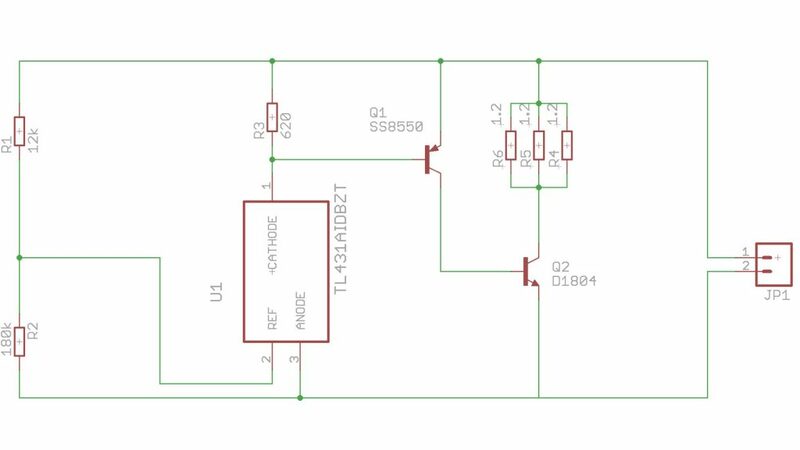 It also uses a TL431, but it adds a small PNP transistor and a big NPN transistor (8A) to handle bigger currents (the SMD resistors handle max. 1.5A). Great video thanks so much. I have a couple questions. At 10:00 can I assume you doubled the capacity of the bottom capacitor (as per your diagrams)? And that you only had one protection circuit on the top capacitor? Because the zener is not providing enough current to the bottom large capacitor, too much is still going to the top one. That results in the top (smaller) cap having an over voltage. Is that correct? 2. The zener has no clear cutoff voltage. 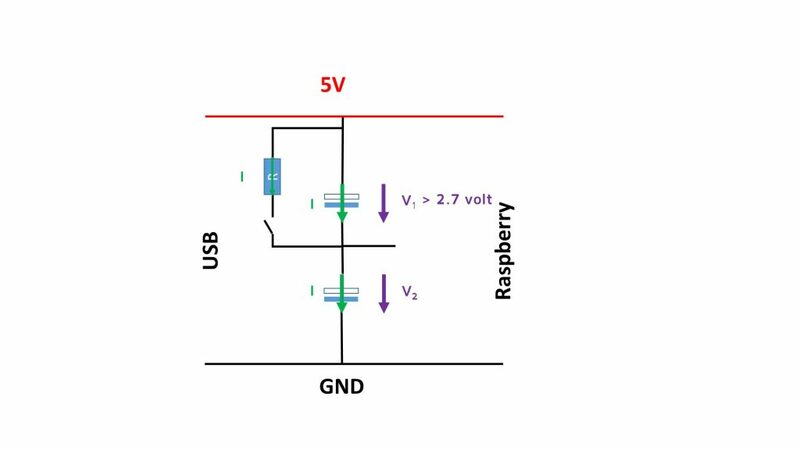 Therefore, it allows voltages above the 2.7 volt (because its resistance is too high). Hmmm. 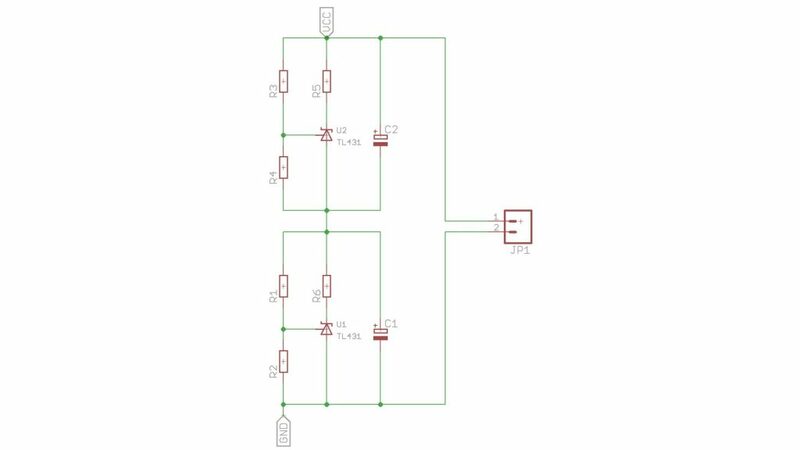 When I wrote the comment above, I was playing with a simulation where I replaced the TL431 with a simple switch I could open and close to see the behavior, but the real circuit doesn’t work if it is modified like I described. 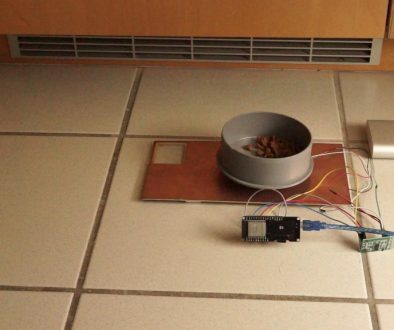 It seems like the cathode must be tied to V+ with a resistor.